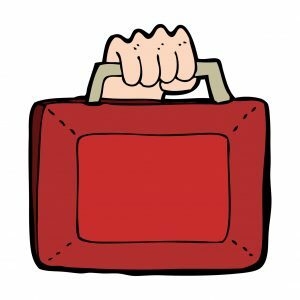 I have to admit as Hammond started to deliver his Budget Speech, I was anxiously waiting to see what announcements he would make that would impact the contractor and small business industry. The £5,000 dividend allowance will remain in the 2017/18 tax year. However this will reduce to £2,000 from April 2018. Yes, this isn’t ideal but in the overall scheme of things, this would be an increase of around £225 in personal tax for an individual taking salary and dividends up to the higher rate threshold. It seemed that he was almost going to bring back Class 2 National Insurance contributions for the self-employed. However instead, from April 2018 the Class 4 National Insurance rate will increase from 9%, to 10%. This will increase by another 1% and from April 2019 will be 11%. Plus, it seems there is a sigh of relief for smaller unincorporated businesses and landlords under the VAT threshold, as quarterly submissions will be delayed for another year. No changes to previous declarations, the rates will continue to drop over the coming year. The rate from April 2017 will be 19% and by April 2020 will be 17%. As always, we’ll need to see what’s in the detail when it’s all officially released! The biggest impact for contractors and small businesses from April 2017, will be for those working in the Public Sector and changes to the VAT Flat Rate Scheme. A full Aardvark Accounting guide on VAT Flat Rate Scheme changes will be released next week (so watch this space).